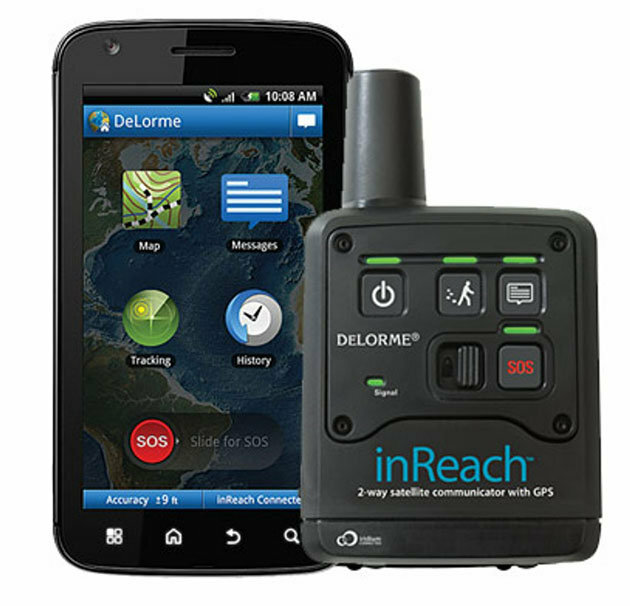 A satellite messenger, like the DeLorme InReach, is an easy and inexpensive way to gain a huge safety margin on your boat. Everyone knows they should have a GPS and a VHF on their boat, much less required items like life jackets and flares. But there’s a lot of other boat gear that remains vastly under-rated. Have you ever wondered what else could improve your safety margin? Help you catch more fish? Keep your boat running smoother? Here are a few items that every boater should have. SAFETY GEAR is always a concern, and while an EPIRB may be too costly for some of us, today’s satellite messengers are so inexpensive there’s no excuse for not carrying one. Made by the likes of SPOT and DeLorme, these units use satellites to bounce 911 messages and/or texts back to land. You can get a basic model (which is limited to sending an SOS and maybe a short pre-typed message or two) for around $100. If you spend a couple hundred more, you can get a unit which allows you to send text messages from anywhere on the face of the planet. Note – as these units go up in utility and cost, the monthly activation fees also go up. Base monthly fees can start as low as $10, but they can also top $50. BINOCULARS belong on every boat, especially if you like run-and-gun fishing. And, most of us have a pair onboard. But regular marine binoculars can’t hold a candle to the gyroscopic stabilized versions. By steadying the image, it’s possible to boost magnification from the usual 7X to 14X or 16X. Just how big a difference does this make? Most of us can spot a small flock of working birds at a mile with the naked eye. A good pair of marine binoculars extends that to three or four miles. But with a pair of 14X gyro-binocs, you can see those same birds from seven miles away. FUEL ADDITIVE – With ethanol in the system, giving an outboard-powered boat a steady diet of additive is a must. Otherwise phase separation and/or water in the fuel is almost assured. BioBore EB (ethanol buster) and StarTron are good choices. WATER – Ummm… okay, I know this sounds a bit silly at first, since you’ll be surrounded by it whenever you’re on the boat. But I’m talking about potable water. It’s amazing how many boats leave the dock and head either into the back-country or out offshore, without an emergency water supply. Soda and beer don’t count – they won’t re-hydrate you if your boat breaks down and leaves you stranded. DUCT TAPE – Call this one silly, too, if you must. But how many times, and in how many ways, has duct tape saved the day around the house or in your vehicle? Yes, this stuff belongs on every boat, too.